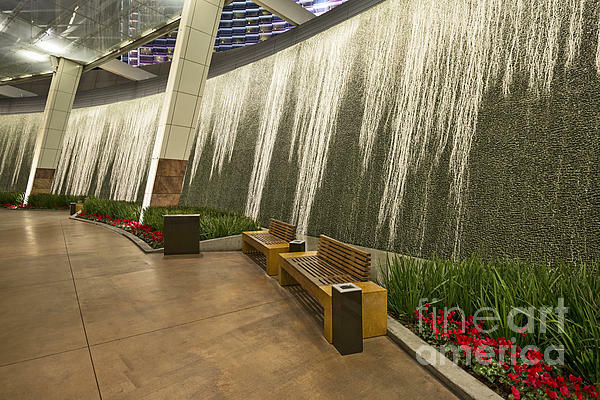 There are no comments for Water Wall - Aria Resort Las Vegas. Click here to post the first comment. Aria Resort and Casino is a luxury resort and casino in the CityCenter complex on the Las Vegas Strip in Nevada. Aria consists of two curved glass and steel highrise towers adjoined at the center. It opened on December 16, 2009 as a joint venture between MGM Resorts International and Infinity World Development.